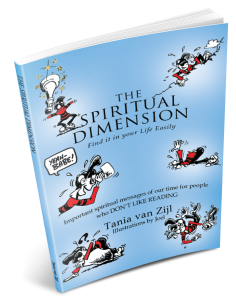 The Spiritual Dimension was written to give people a glimpse of that dimension and a starting point for those ready to pursue a new way. It has been compiled as an easy go-to self-help manual that can accompany the reader effortlessly. Copyright © 2014. Anastasia Tania van Zijl. All rights reserved.